Home » Chinese Horoscopes 2020 » Sheep Horoscope 2020 – Free Astrology Predictions! Sheep horoscope 2020 predicts that you are bound to have your life changed a little this year. You are likely to be more spontaneous this year, but more secret about your affairs as well. You will want your life to be more private, which is just one of the many changes that you are bound to make this year. Working on your general personality, and trying to transform yourself into a better you, will make your year great in the Chinese year 2020 of the white metal rat. The goat or sheep is one of the signs in the Chinese zodiac. While many people may not think of the goat as having many good personality traits, people who are born in the year of the sheep do. People that are born in the year of the goat are said to be intelligent, creative, anxious, stubborn, messy, and stylish. All of these traits can affect these people’s personalities, which can affect how they interact with their Chinese horoscope for 2020. Will sheep be lucky in love in 2020? Since you are likely to be more spontaneous this year, your love life will be more spontaneous as well. If you are single, then this is your time to strike. Your charm will seem like it has reached its peak this year. It will be hard for anyone to resist your charms. If you are already in a relationship, then you can easily see how your charm and seduction can help you out. Things are about to get hot and passionate this year for the Chinese ram or sheep. So, try to be prepared for everything that 2020 is about to throw your way. While your romantic life is about to speed up, your social life with your friends and family will seem to slow down in 2020. While things are slowing down, it may be easier to speak your mind. You will also have fewer responsibilities with family matters. Will sheep have a baby in 2020? Will single sheep get married in 2020? That depends on how well you are able to improve your relations. Goat 2020 predictions foretell your career will flow smoothly this year as long as you get to know your superiors and co-workers better. These people will be the stepping stones that you need if you want to get ahead or advance in your career. If you can use your creative ideas at work in a productive way, then do it! Your special talents will help you to standout in the workplace. Progress in your career will be difficult and slow at times. But if you persevere, then you are sure to succeed. When it comes to your finances, sheep will be in luck in 2020. You should have enough money to pay off all of your expenses easily. And, you may even have some money leftover to use for pleasure instead of bills and debts. Budget carefully and you will be sure to have enough money for the necessities and the fun things in life as well. Sheep, your health may be a little down this year, so you will want to try to reverse this. Beginning to exercise more, eat healthier foods, and reducing your stress levels are all great ways to do this. Try to get some of your bad habits as well to make yourself as healthy as possible in 2020. January 2020 will start on a positive note. Your life will be full of prosperity, happiness, love, and joy. February 2020 will continue to work in your favor. You will be showered with good luck and financial blessings. March 2020 will be a month when challenges will be a part of your life. But the Chinese ram can take everything in its stride. April 2020 depends on your actions. If you save for the rainy day, everything will be in your favor. But if you want to spend without thinking, nothing can save you from going bankrupt. May 2020 is all about love, romance, and relationships. It is a good month for singles to get hitched. Married couples too will experience bliss. June 2020 is a favorable month for money to roll in from unexpected resources. Make the most of it. July 2020 is when you must be careful not to get influenced by people who don’t have your good interests in mind. August 2020 is an excellent month to socialize, make new friends. Who knows, you might even find a compatible partner? September 2020 is when you must be alert for new opportunities. It can be in your career as well as love relationships. 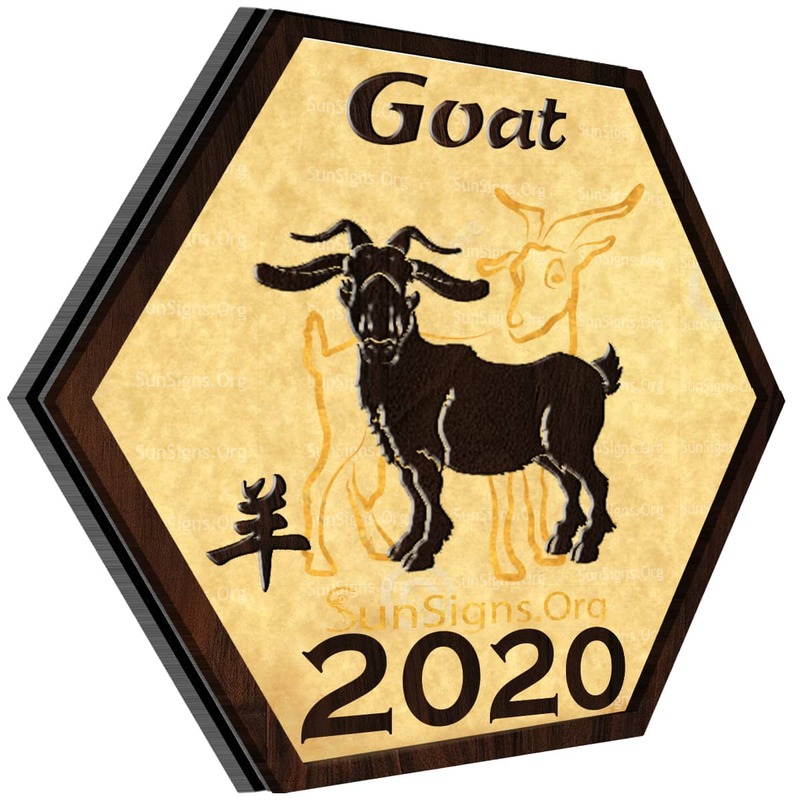 October 2020 for the Chinese goat sign is encouraging when it comes to both personal and professional prospects. November 2020 is when you must take care of your health. Also, start saving for the rainy day. December 2020 is a happy month. Stability and hard work will play an important role in your current lives. 2020 Feng Shui yearly forecast for the sheep suggests a year of learning, planning, and contemplation. This year of the rat 2020 is about changes. Sheep horoscope 2020 predicts that some changes will be slow, but some will come right away. This year is also a year with much more pleasure in it than business. While you should do your best to work hard while you are at work, you can also think creatively and make friends at your workplace as well. When you are off of work, try to spend time with your romantic partner, your friends, and your family. Most importantly, make sure that you have some time that you can spend alone and do the things that you want to do. If you do all of these things, then you are sure to have a wonderful 2020! Previous Horse Horoscope 2020 – Free Astrology Predictions! Next Monkey Horoscope 2020 – Free Astrology Predictions!